Submitted by peter on 13 July, 2008 - 08:38. Subaru are set to launch 3 new models in Thailand. The first being the all-new Exiga. This is billed as a 7-seater MPV and is expected to cost around THB 2 million for the base model when it arrives in Subaru showrooms. Subaru will also be launching the sedan (4-door) version of the Impreza, although the appeal of the 5 door version is starting to catch on as the hatchback model gains fans. Subaru's decision to turn the Impreza into a hatchback was met with an initial wave of criticism, which seems to have mostly died out after people got a chance to get behind the wheel. Submitted by peter on 12 July, 2008 - 20:31. The 2nd generation Honda Jazz has been selling very well in Thailand since its launch earlier this year. Perhaps too well, and although the Honda Thailand website still shows the same pricing on the Jazz since the launch, dealer price lists tell a different story. The price of the Jazz has crept up by THB 10,000 across the board. Submitted by peter on 21 May, 2008 - 20:48. Malaysian car marker Proton has raised sales targets from 2,000 units to 5,000 units for 2008. The previous estimate seems to have been overly conservative based on first-quarter sales of 1,500 units. Increasing fuel prices are helping Proton, as customers are turning to smaller cars like the Savvy. And it is the Savvy that is Proton's most popular model in Thailand, accounting for approximately half of all sales for the company. The Gen-2 is next with around 30% of sales, and finally the Neo with around 20% of the total. Submitted by peter on 17 April, 2008 - 14:44. The 2008 Bangkok International Motor Show was a big success, and with sales of over 18,000 units, things are looking good for the industry in 2008. Some of the sales figures are very interesting, and while Toyota, Honda and Isuzu continue to top the charts as usual, there are some interesting surprises. Submitted by peter on 16 April, 2008 - 09:28. Either there is an error in the article below, or Eco-Cars are going to be expensive. Taken from the Bangkok Post, the article below is mostly stuff you will have already heard about the Eco-Car project. But it seems that this article does answer a question that many are interested to know: What will Eco-Cars cost? 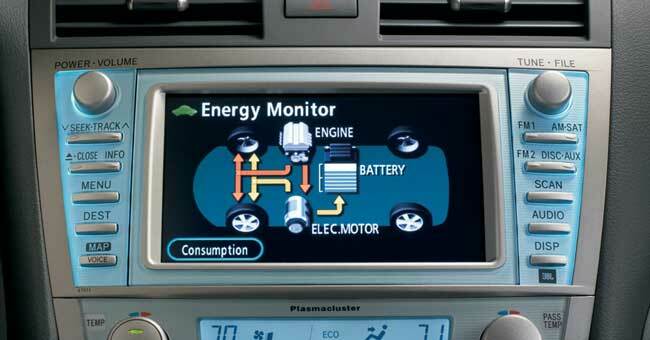 Or perhaps the best way to put it is: How cheap will Eco-Cars be? 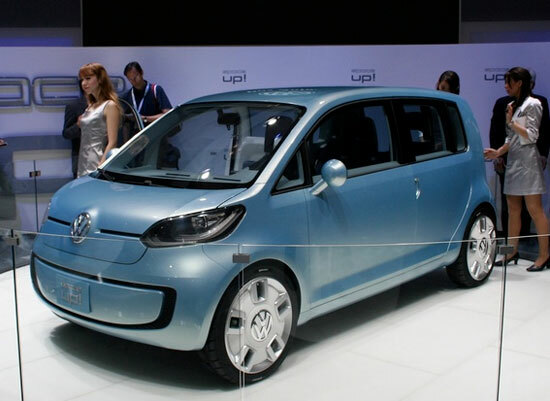 Thailand's small eco-cars will be selling in the range of $16,000 and up. Submitted by peter on 9 April, 2008 - 13:45. The 2008 Bangkok International Motor Show is over. If you didn't catch it, or if you are interested in finding out what was new at the show, or if you just want to see some photos from the show here are a few useful links to help you navigate to what you want on bkkautos.com. Articles related to this years Motor Show can be found listed here. Galleries from the show can be linked to from the relevant articles, or you can find them here. I'm still adding content, both images and articles, so this is the best way to keep a check on the latest articles. Actually the best way is to subscribe to our RSS feed, but failing that, try these links. Submitted by peter on 9 April, 2008 - 13:01. Correction : The Naza Forza with airbags and alloy wheels actually carries a THB 30,000 premium over the standard model. This means that at THB 379,000 it is approaching Proton Savvy money. Also, these prices are introductory, and although Naza has extended the duration of the reduction period. Sorry for the error in the original posting. Submitted by peter on 6 April, 2008 - 23:56. 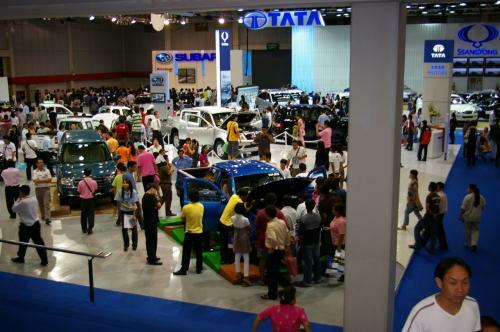 Tata Motors used the Bangkok International Motor Show to unveil the Tata Xenon, and showcase several other models with the hope of making an impression. The show ended today, and if you didn't get to visit it and are curious to hear some comments on the Tata offerings, I'll do my best to give you an idea of the impact the Xenon made on me. Motor Show 2008 - Ford: Let's get ready for a surprise! Submitted by peter on 20 March, 2008 - 20:34. Ford have a surprise in store for visitors to the Bangkok International Motor Show, kicking off on 28 March at Bitec. Ford's website has a little button suggesting that there is going to be a surprise at the motor show, and offers free tickets. Following the link brings you to a page which seems to give away everything. Surprised? Submitted by peter on 19 March, 2008 - 20:59. According to reports coming out of Singapore, Yasuyuki Kawamoto, the chief engineer of the Thai assembled Corolla Altis, has said that Toyota would be assembling the Camry Hybrid in Thailand. Submitted by peter on 23 February, 2008 - 09:57. 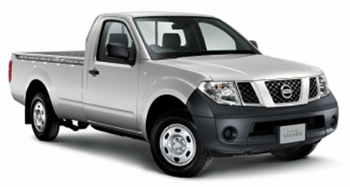 In Thailand, Nissan have been successful in attracting a large portion of pick-up truck buyers to its Navara. The Navara has many qualities that make it worth considering. For a start it is the largest truck in the one-ton class and, although rated to carry the ton, it can easily carry heavier loads thanks to its size, strong chassis and powerful engine. The Navara was also the first to market with a 6-speed transmission, and is still alone on that front, while the 5-speed auto is up there with Ford and Mazda offerings. Next is the engine line up. Nissan offer two 2.5 litre engines in the Navara, a 144 hp unit for the two-wheel-drive models, and a class leading 174 hp unit powering the four-wheel-drive models. 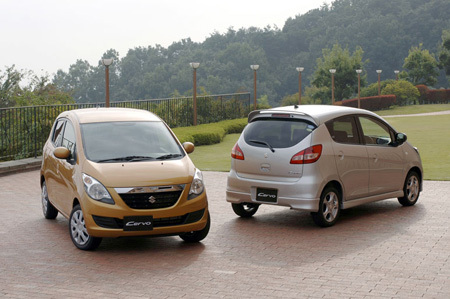 Suzuki to build plant in Rayong - Production of Eco Car to Start 2010! Submitted by peter on 20 January, 2008 - 20:56. Suzuki Motor Corporation was one of the companies to submit an application to participate in the Thai Eco Car project, and now they are moving forward and have plans to build a plant in Rayong Province. Production at the plant is expected to start in 2010. Suzuki will invest USD 90 million in order to establish a manufacturing company in Thailand, and a further USD 287 million in the construction of the plant. The plant will create 1200 jobs. Submitted by peter on 26 December, 2007 - 10:05. 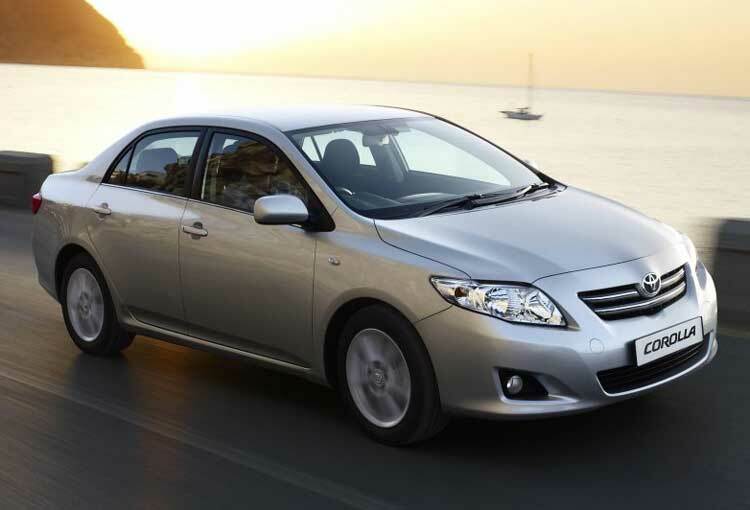 Mazda received over 800 bookings at the 2007 Thailand International Motor Expo, which is a decent result for the brand. Most of this was due to price reductions on the Mazda3, which resulted in similar reductions to those offered by Ford for the E20 capable Focus. Submitted by peter on 6 December, 2007 - 20:21. The 2007 Thailand International Motor Expo was supposed to be all about future vehicles stunning the world. I visited the show yesterday evening and I have to say that there was very little there to even mildly surprise, let alone stun anyone. Actually, despite being keen enough about cars to actually go to the bother of making a web site dedicated to them, I was thinking twice about going to this year's expo. Frankly, it is always the same thing. This year was a big improvement on previous years though, and if you haven't been yet, you might actually find it worth your while to pay a visit to the show. Here are my comments on the expo.